Need Information on the PFI Standards Program to Share with Retailers? Let Us Know! Pellet season has begun, and with colder-than-normal temperatures forecasted, pellet manufacturers and retailers are preparing for a busy season. As consumers and retailers focus on pellet purchases, we want to remind PFI members of the resources available to you to help you communicate about the PFI Standards Program and what it means for buyers. If you are interested in distributing any of these materials, please contact Carrie Annand at [email protected]. If you are interested in joining the program, the first step is to visit PFI's Standards Program web pages to identify an accredited auditing agency. The agency will help you come up with a Quality Control manual and get you on the path to joining the program. Next time you visit Washington, DC, you may want to swing by the National Building Museum. 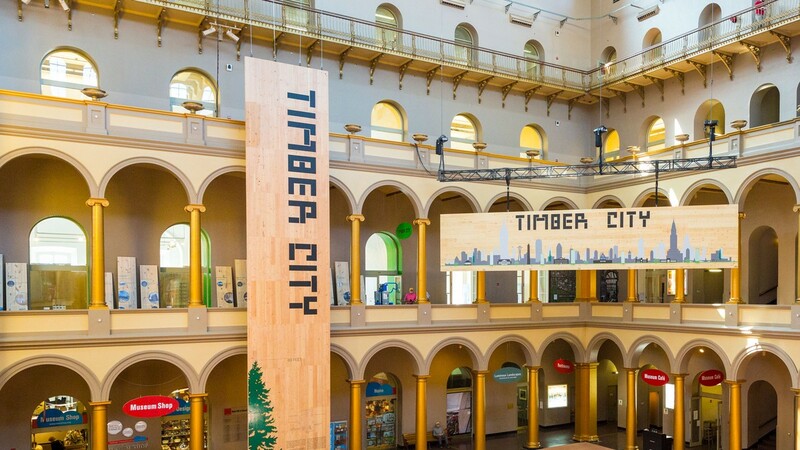 The U.S. Forest Service has teamed up with the Softwood Lumber Board for Timber City, an excellent and informative exhibit on building with wood. 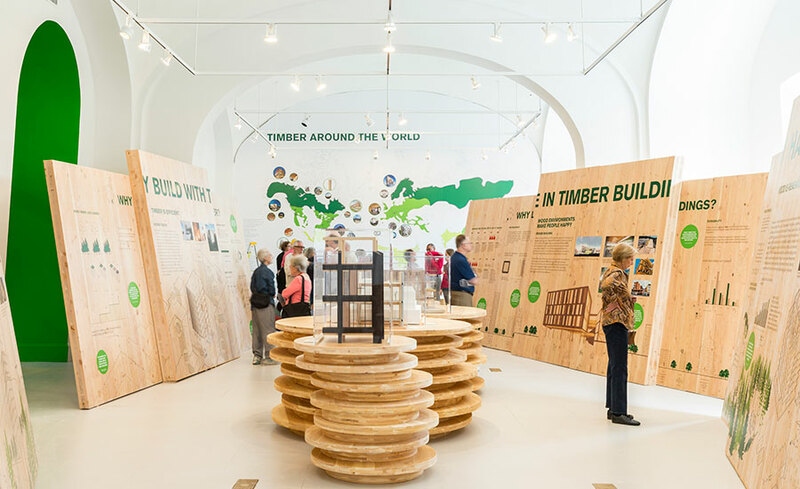 The exhibit explores the history of using and building with wood, as well as modern architecture and innovations that make tall wood buildings increasingly practical. Timber City also discusses bioenergy as an important part of harvesting, enabling the use of the whole tree rather than letting parts go to waste. The National Building Museum will soon be holding guided tours of the exhibit, which will be open through May 2017. The U.S. Forest Service can help us arrange group tours as well. Many people dread heating their homes due to the varying price of fuel. Whether you heat with natural gas, home heating oil or propane, if prices spike and the winter is severe, your bills skyrocket. But there is another way that is getting more popular that is cheaper and fairly easy to use - fuel pellets. The 6th Annual U.S. Industrial Pellet Association conference kicked off in Miami Nov. 6 with a keynote panel moderated by chairman and CEO of Enviva John Keppler. Cross-Atlantic biomass perspectives were shared by Tom Tidwell, chief of the U.S. Forest Service; Bruce Westerman, U.S. Congressman; and Nigel Adams, U.K. Member of Parliament. Can Trump Learn to Love Biomass? The new US president has been chosen and it seems like it will spell the end for Obama's Clean Power Plan - something many in the biomass industry pinned a lot of hope on to help ignite a domestic industrial consumption market. So, what now for the US wood pellet market? 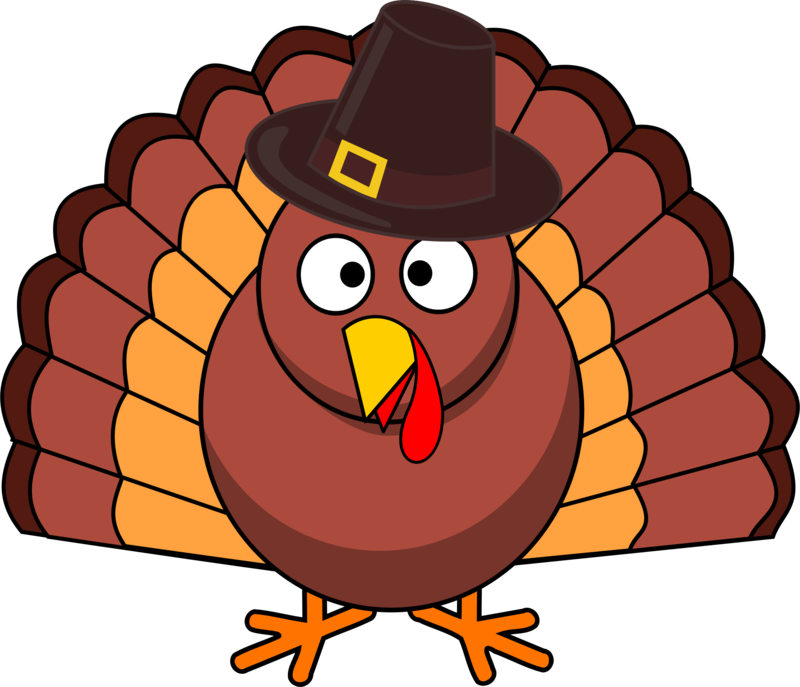 Happy Thanksgiving to all PFI Members and Families!